I like the idea of replacing everything with Galv that I can while I am at it. 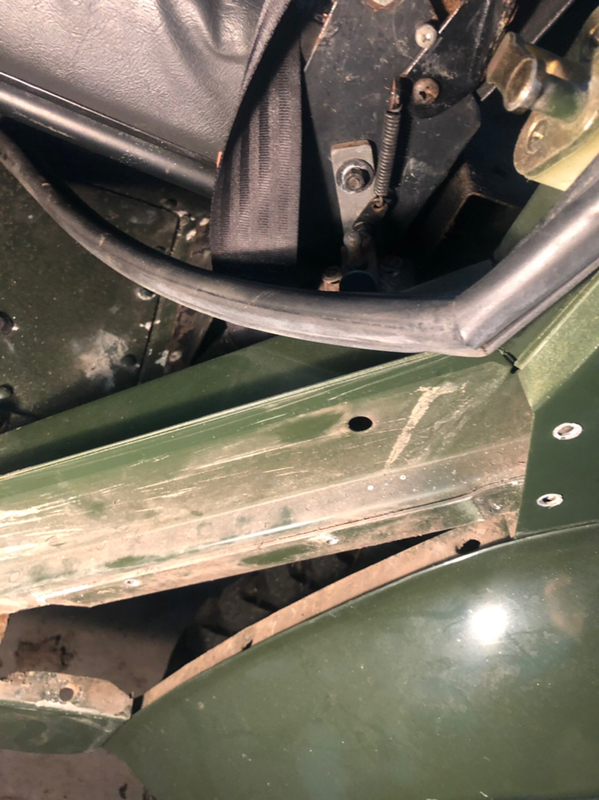 The b pillars are sound and in good shape as well as bulkhead. I assume that you have to take the entire c pillar out to separate the lower angled section from the top. I saw a tutorial on replacing bottom section on Yrm on doing this. I figure I would build a templet to match to existing angles and use with new metal sections and then remove sill and replace with new galv sill. Remove c pillar separate and rebuild using templet. And spot weld c pillar and to sill locations. The whole thing needs to come out. You can cut, clean and weld in place too but you won't be able to do as clean of a job as you would by removing it. Check the sill rails, they ight be on their way out as well. 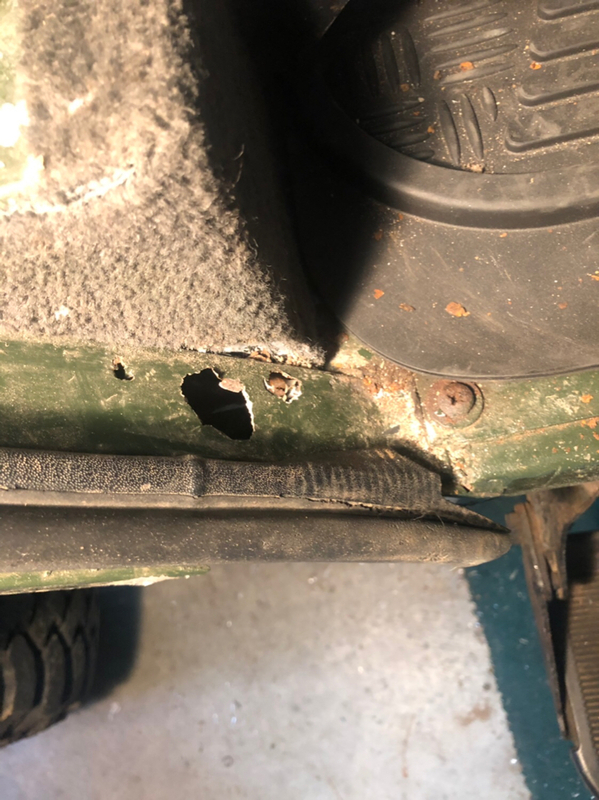 I did it on my truck, but mine were in a much worse shape than yours (https://www.defendersource.com/forum...tml#post777831). You will reuse the tabs on the B-post. 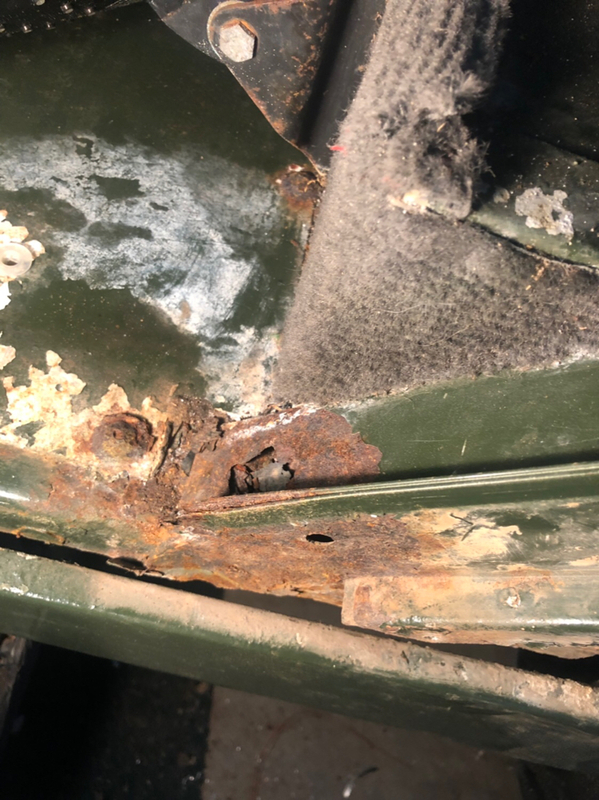 The back flap will give you trouble, though, very hard to remove those spot welds from behind, again, I know, because that's what I did - I removed one of the sill rails while keeping B-posts attached. I didn't bother for the second one - removed the whole panel first. I tacked everything back in place, and then still removed the entire panel off for final welding. Make sure you template everything before you start dismantling. Unless you're good with a welder/grinder and are doing the work yourself, I'd recommend just getting complete HDG replacement pieces. There was a recent discussion about this topic here in the last couple of weeks, and RN seemed to have a deal on the whole panels. Patching it will just prolong the agony. So is the Yrm 3 piece kit good? Thanks Vedrover ! Btw followed you post on this ... def don’t have the skills you have ! Hopefully when Miket961 helps me remove the whole panel(s) I can get it repaired and save some $$ ! !